This 5′ x 8′ CENTRY series booth meets the needs of the owner perfectly. Booth has been painted in 2 colors to match corporate colors. Glazing has been upgraded to 1/4″ Solargray tinted to reduce intensive glare. Fascia is extended to conceal the roof mounted air conditioner. Booth base and doors have been upgraded to stainless steel construction to resist corrosion and a harsh environment. 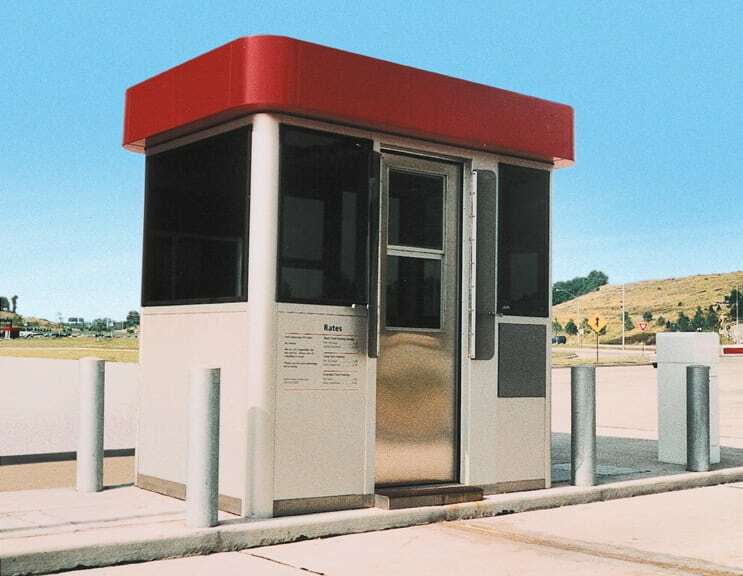 Doors on both sides with cashier windows offer the ability to service 2 lanes of traffic, and finally 3/8″ tinted polycarbonate windscreens were mounted to the doors for assistance with high wind conditions.